The future of the American economy and our national security depend upon continued innovation. We need a work force skilled in science, technology, engineering, and mathematics (STEM) to enable the initiation of innovation required to drive the U.S. economy, and skilled in the role of intellectual property in promoting innovation. Although awareness of the need for STEM skills is growing, STEM education may still need improvement. And we lack recognition of IP’s fundamental importance. STEM skills are in high demand in the American work force, so jobs requiring those skills are often high paying. Yet despite numerous initiatives that attempt to attract students to STEM education, we have a dearth of workers with STEM skills. More important, STEM educational offerings in high school and college may not be focused on the right areas. For example, a recent editorial in the Wall Street Journal (James Markarian, “Who Needs Calculus? Not High-Schoolers,” May 15, 2018) argued that the high school curriculum should now emphasize statistics more than calculus. Although calculus underpins physics and chemistry, today’s computer analytics and artificial intelligence depend on statistics and data science, not calculus. So STEM education may need to evolve in recognition of disruptive technologies that are starting to drive our economy. It would be a monumental step in the right direction if our high school curriculum were to pivot to encompass a more optimal mix of math and science needed to sustain innovation. But even that would not be enough. The curriculum should also include education on how to prevent the loss of hard-fought value through IP protection, and—crucial for the future of our society—to drive capital investment and further innovation. As Inventors Digest readers know, IP includes patents, trademarks, copyrights and trade secrets—intangible assets that promote innovation. The importance of IP is clear. The portion of a company’s value attributed to intangible assets has grown considerably in recent decades and now exceeds 80 percent. IP is frequently leveraged to secure start-up venture capital, both on Wall Street and on the television show “Shark Tank.” Young companies with patents are better protected and far more apt to survive and thrive. Unfortunately, the share of patents granted to small companies has been decreasing, and the rate of start-up formation in the United States has been declining. If we want to secure America’s future, promote our innovation economy and create jobs for our children, we need to educate young people about IP. And given the stiff international competition, we must act now. Fear not: We do not need to prepare our high school students to be lawyers, nor do we need to teach IP concepts in high school with the same rigor and to the same depth as in law schools. But we do need to teach something about IP. Just as education about math and science progresses through primary, secondary, undergraduate and graduate schools to prepare students for their eventual careers, so must there be progression in education about IP. Grade schools have science fairs and invention conventions, and teach students about famous inventors and their inventions. Why not introduce education about how successful inventors protected those inventions (or the consequences they suffered from having not done so)? Organizations such as the United States Patent and Trademark Office (part of the Department of Commerce), the Global Innovation Policy Center of the U.S. Chamber of Commerce and many others have extracurricular programs to promote IP education and awareness. Despite the best efforts of these organizations, education about IP is lacking in our schools. Uncoordinated extracurricular programs are not enough. The efforts of a modest number of teachers, professors and guest lecturers will not get the job done. We must act in an organized and purposeful way, quickly and deliberately, because our future and the future of our country depend on innovation by our children. 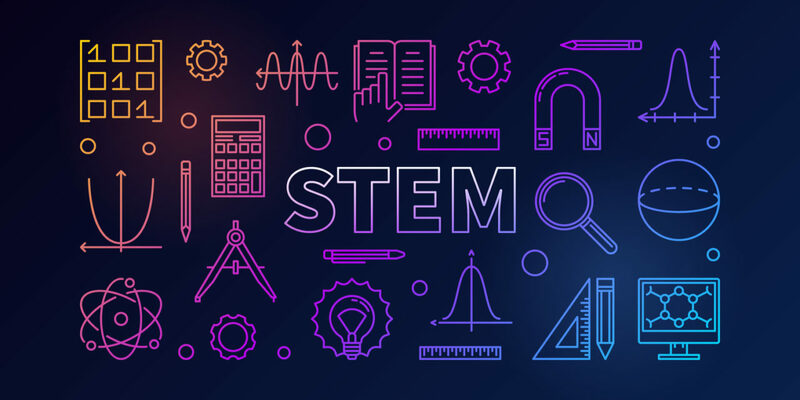 The time has come for our colleges, the U.S. Department of Education, state and local school boards, and others that determine school curricula to take the next step in STEM education and work with the IP community to establish appropriate curricula that promote innovation. Manny Schecter Is chief patent counsel at IBM. He helped IBM generate more than $20 billion of income from IP while maintaining its position as the top annual U.S. patentee for the past 26 years. He is active in intellectual property policy matters.